I asked some of the people with Type 1 who have been helping out with organising Thrive-abetes to tell me why they got involved and what's in it for them. The first person to get back to me was Davina Lyon. Davina Lyon, lives in Co. Kildare. 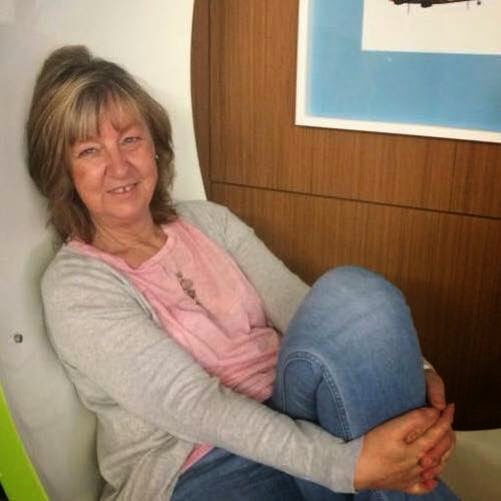 She and John O’Reilly are the founders of the Diabetes T1 Ireland website and facebook page, which is aimed at providing information and support to people living with type 1 diabetes. Davina has been a tremendous help in making Thrive-abetes happen. This is what she said when I asked her why she wants to be a part of it and what she wants to get out of Thrive-abetes for herself. "My diagnosis of Type 1 Diabetes was an enormous shock. I was not a child, nor a young adult. I was in my 50's! I did not fit the profile at all. My life with type 1 Diabetes is a constant daily challenge to maintain a blood glucose balance and there are so very many things that can interfere with this. Everyone knows about the big one; food. However, stress, heat, cold, illness, exercise, alcohol, a break in routine, and hormones all affect the blood glucose balance. I have participated in a structured education course in the form of DAFNE and now I want to take my diabetes education to the next level by exploring new ideas for type 1 diabetes management. I want to learn more about different ways to manage my diabetes, such as the low carbohydrate or the low glycemic index methods. This lifestyle can result in isolation, loneliness, depression, frustration, anger, and there can be a serious lack of support because people without type 1 simply CAN'T understand. I feel that Thrive-abetes will give me this fantastic opportunity to connect with other people with type 1 diabetes, who live just like I do. For me, it's about talking to others and learning from from them about how they "control" their diabetes because we never ever know enough, there is always something to learn. I will hear speakers talk about their own lifestyles and how they deal with their type 1 diabetes. I will also have the opportunity to speak with companies about the latest technology in blood glucose meters. Thrive-abetes, the conference is a first of its kind for Ireland. I would hope its success would mean it won't be the last. Yes, its ambitious but for all of the reasons I've given above, I had to throw my hand in to help in what ever way I can to bring this dream to life. We need lots of fivers.